Have a look at the following picture. Now tell in which street I am: the first one on top and going to the one above ? Or the other way around ? (Think that you must look at the road while doing this of course.) For me it’s impossible. The problem is : there is no universal convention to indicate going from a point to another. They could have used an arrow for example. Also missing is the name of the city I’m in. I needed this information during a lot of occasions. 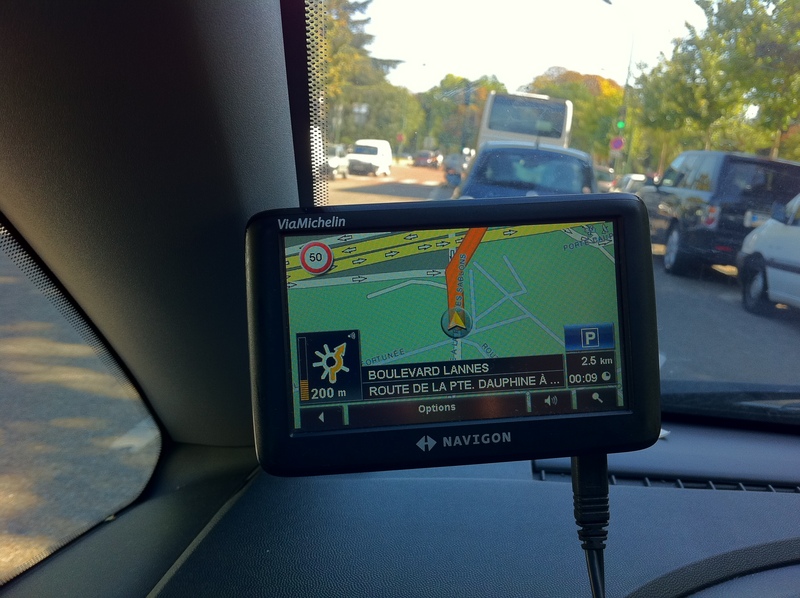 So before even thinking of putting TV on my GPS or Heads Up Display (which would rock !) : just make a good UI first.